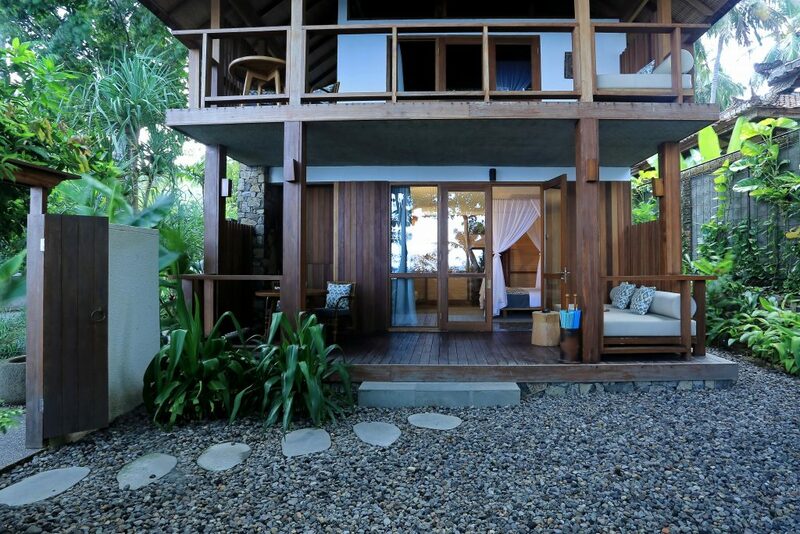 Jeeva Santai’s two Oceanfront Suites have direct views of Mangsit Beach, the Lombok Straits and the islands of Bali. 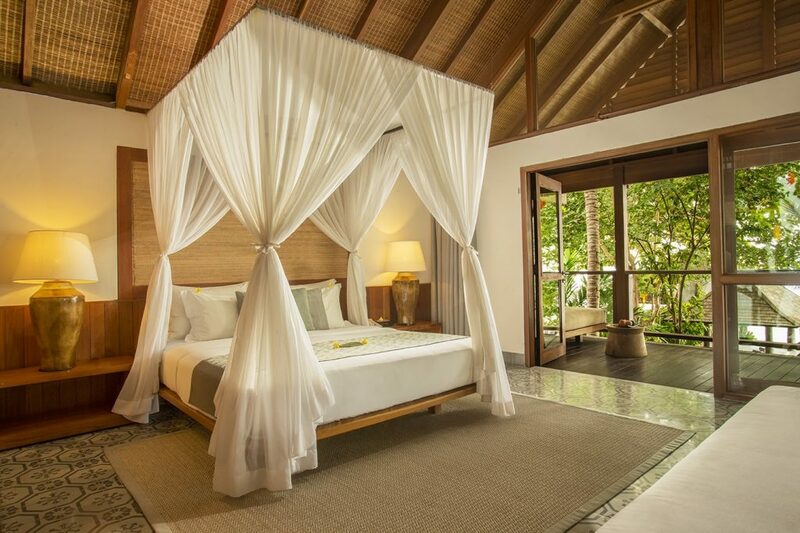 The oversized suites have either a large terrace or balcony with a generously sized daybed for two. 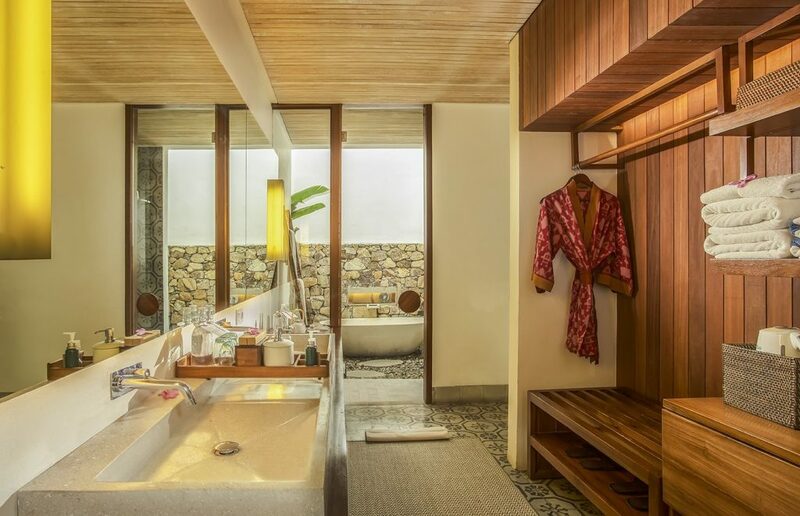 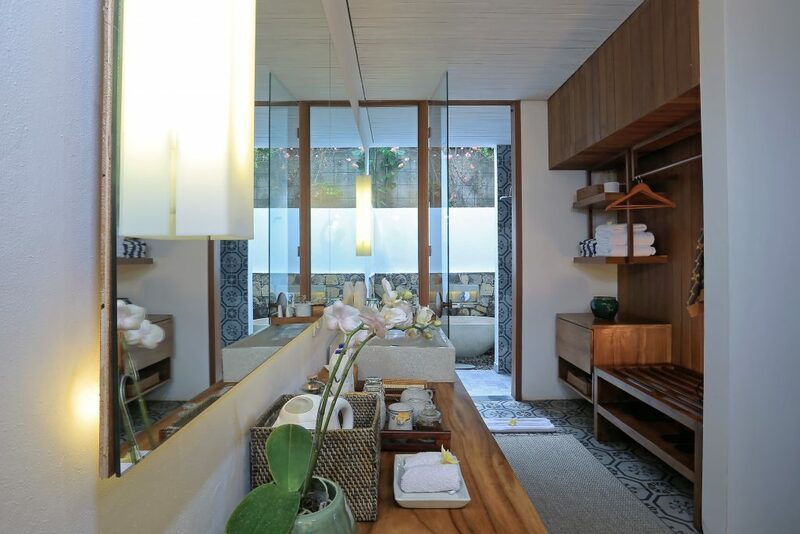 The ground floor suite has a large enclosed private garden with an open air shower and bathtub. 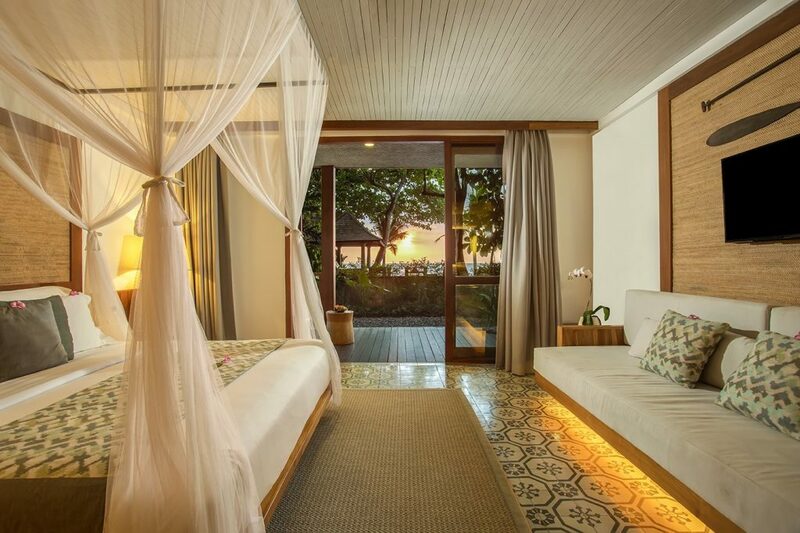 The first-floor suite offers direct bird’s eye views of the ocean and Mangsit Beach. 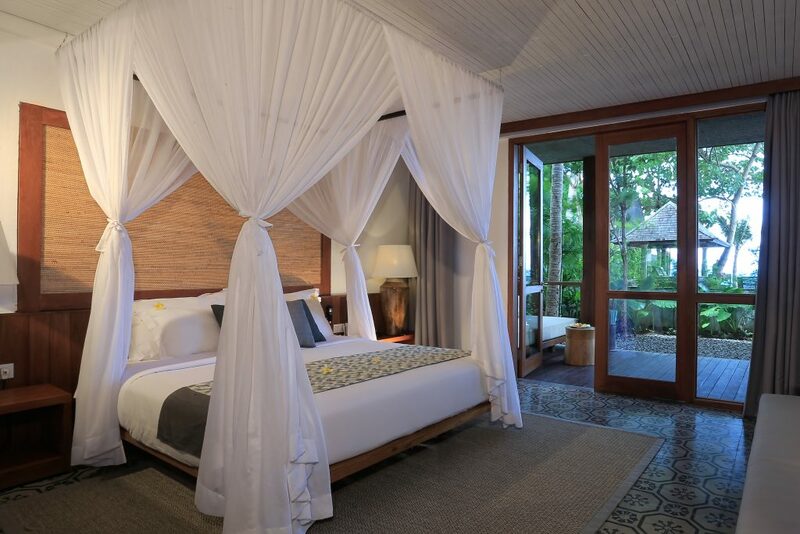 Sunsets behind Bali’s Mount Agung are spectacular from both the large daybed on the balcony or from the comfort of your luxurious king-size bed with finest quality linens. 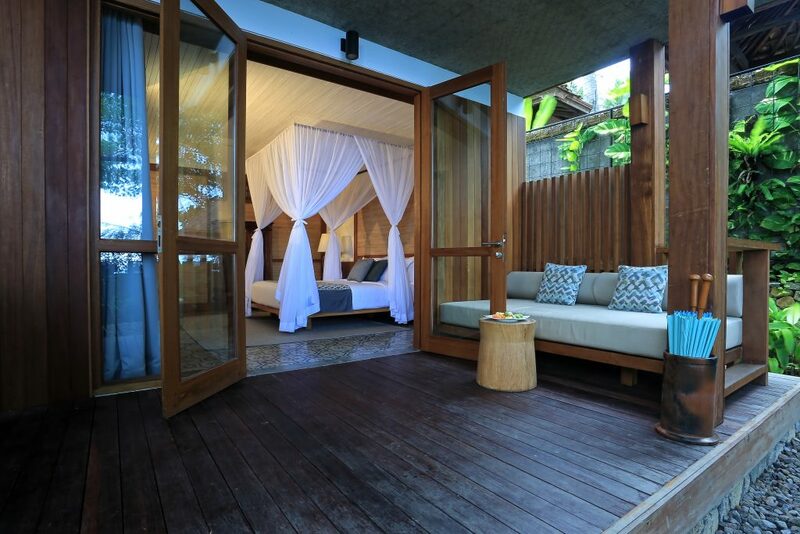 The Santai Oceanfront Suites have private outdoor dining tables and are equipped with flat screen televisions, coffee and tea making facilities, mini-refrigerators, safes and bespoke Jeeva personal amenities.